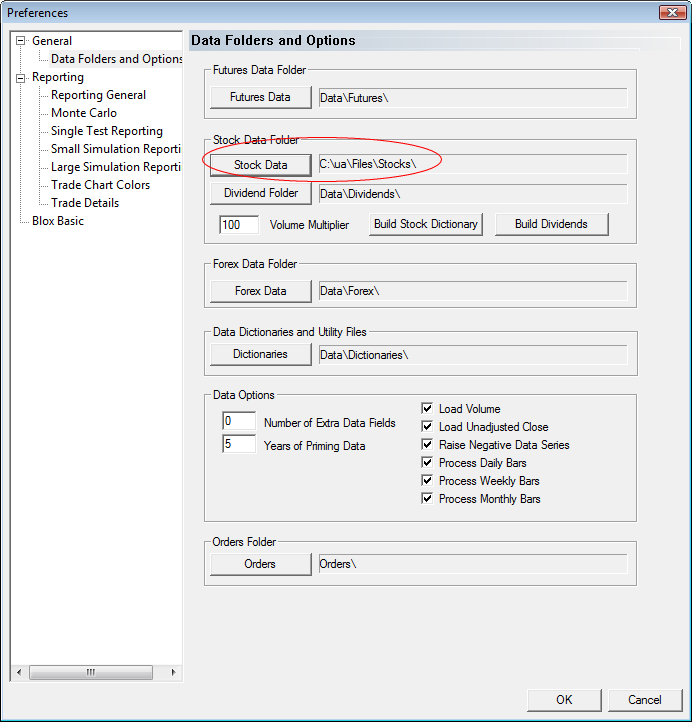 This process will setup UA with the sample stock data files, and set the preferences and options correctly for Trading Blox. 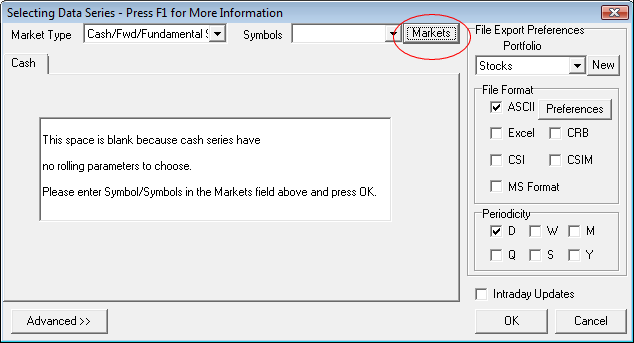 You can then add and delete markets as necessary. 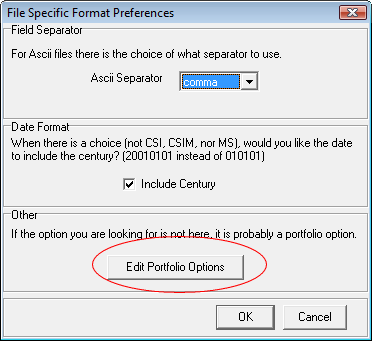 Use the Portfolio/Download Portfolio menu item in UA. 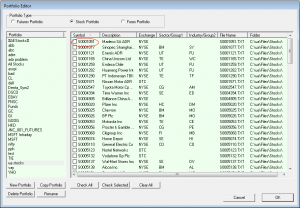 Download the “TradingBloxStocks” portfolio. 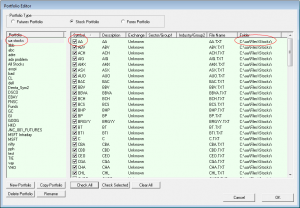 This will setup all the sample markets in a UA portfolio called “stocks”. 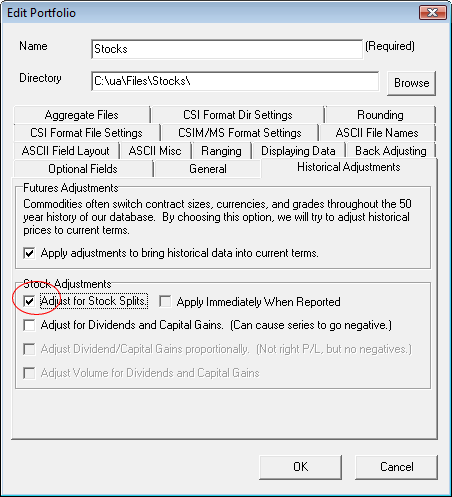 Making sure the “Stocks” portfolio is selected, use the “Portfolio/Select All” menu item to select all the markets so that they all turn blue. 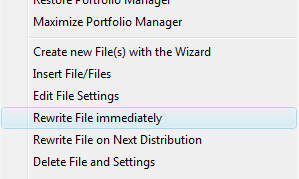 Use the Portfolio/Edit File Settings menu item to double check that the file settings are correct. 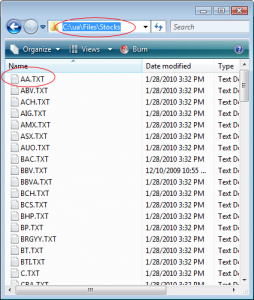 These files and any new files you add must be ASCII file format. 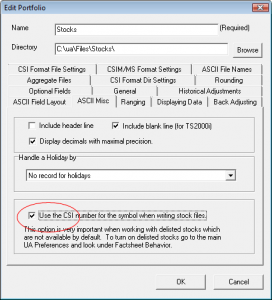 Note that all the file settings need to be correct. They should be setup automatically by the stocks portfolio, but if they are not, then use the Portfolio Select All menu item, Portfolio Edit File Settings, ASCII Preferences button, Edit Portfolio Options, and then check the tabs as per the screen shots below. Rebuild all the files as necessary. 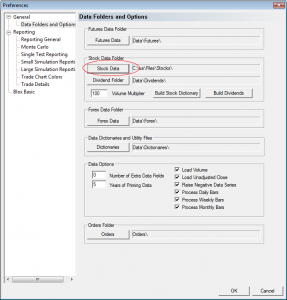 Use the “Portfolio/Rewrite File Immediately” to create these data files. 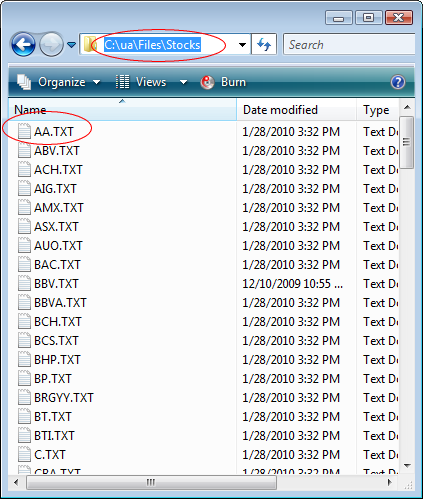 Note the directory (third column in the listing is the directory) in which these files are located – probably C:\ua\Files\Stocks. 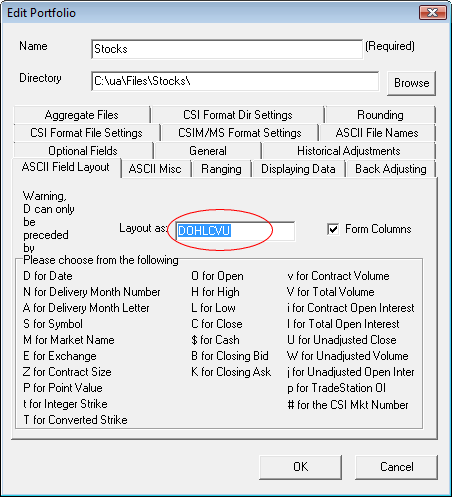 In Trading Blox preferences, set the Stock Data Folder to C:\UA\Files\Stocks. 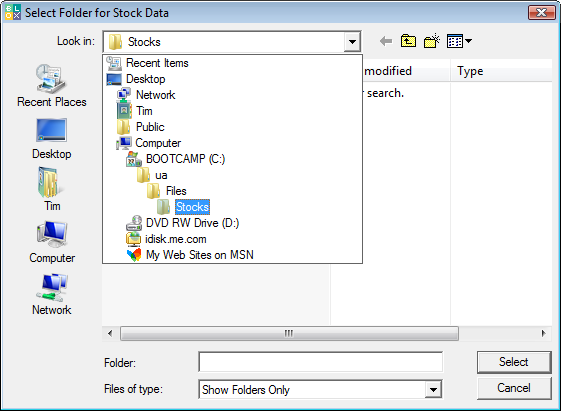 Start by pressing the Stock Data button to bring up a folder explorer window. 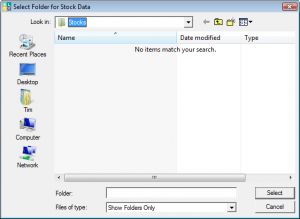 Browse to the Stocks folder using the drop down menu to the right of Look In. 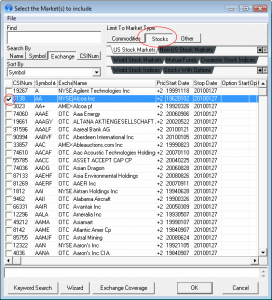 Be sure to go into (double click into) the Stocks folder, rather than just highlight it. So once selected, the screen should look like this. 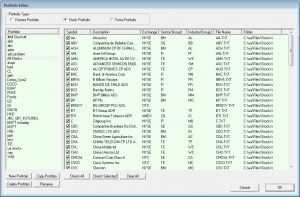 Now press Select. 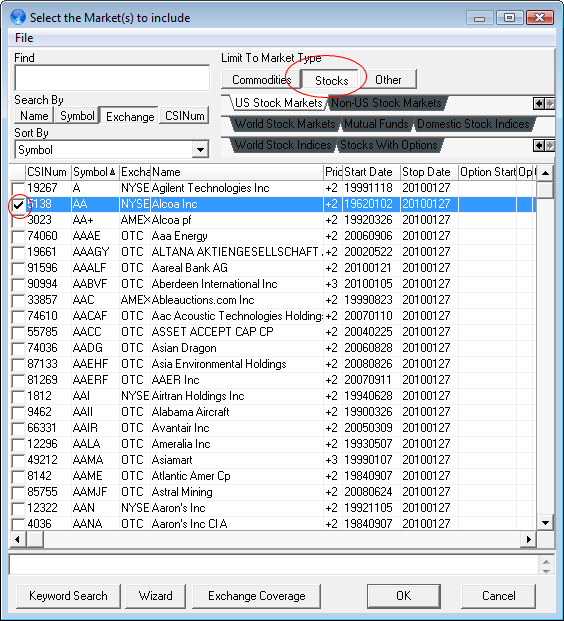 In Trading Blox Edit/Portfolio, create a new portfolio and add all the stocks you want to test. 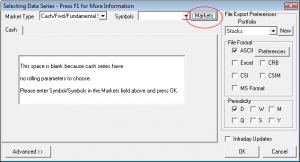 Note that the symbol will be the description and the exchange will be unkown. 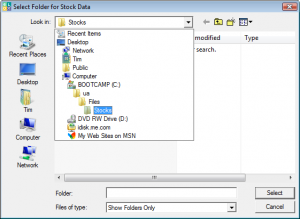 This is because there is no Stock Dictionary yet. 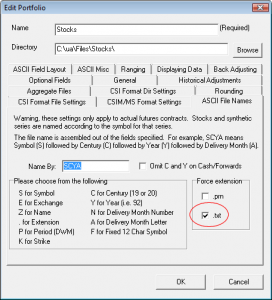 But the File Name and Folder Location should be correct. 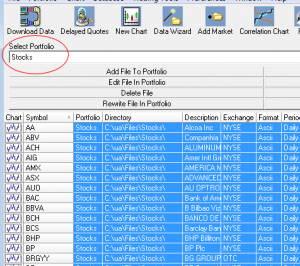 You can now run a test using this new portfolio. 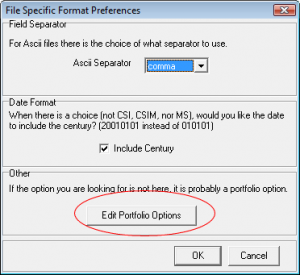 Use the “Portfolio/Insert File” menu item to add a new market to the portfolio. 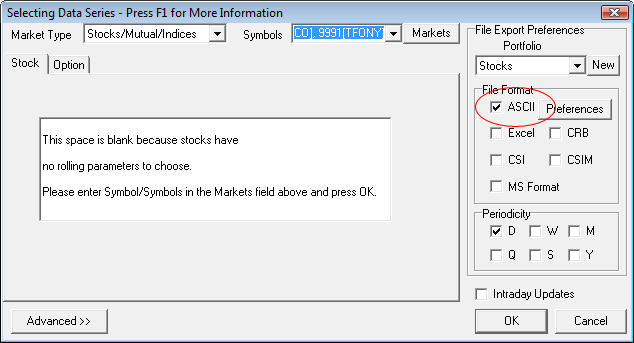 Click on the Markets button. Build the data files as necessary. 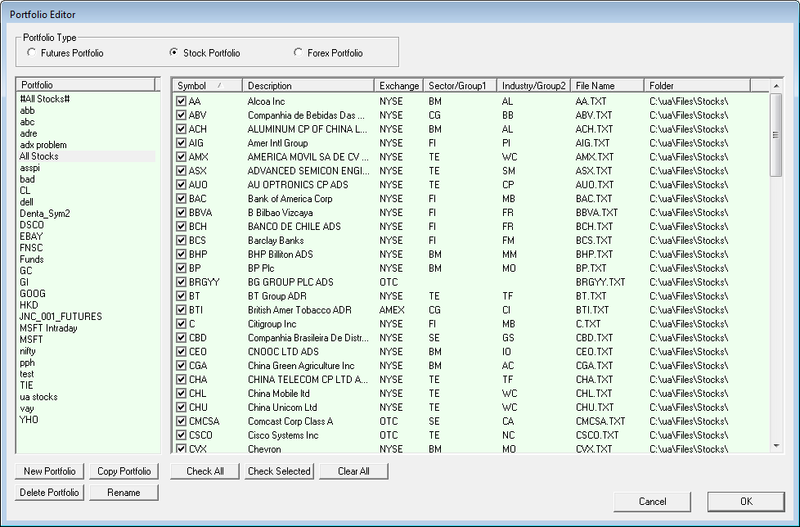 Open Trading Blox and use the Portfolio Editor to add these new markets to a Trading Blox portfolio to use in testing. 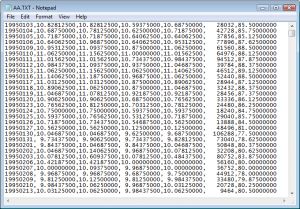 If you have problems, start by checking the data files in UA. Find the location of the data files (probably C:\UA\Files\Stocks) and make sure the files are as expected. 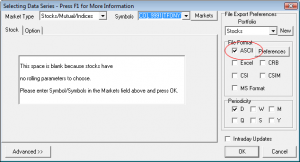 Symbol name with a .txt for all the markets you want. 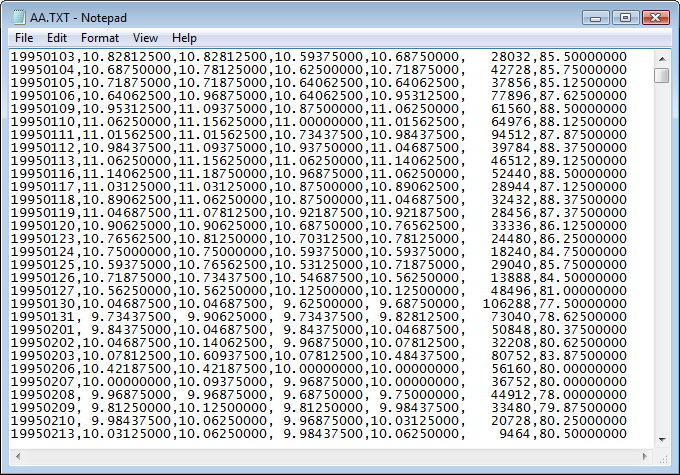 Now open this file in Notepad to examine it. Make sure the start and end dates are as expected, and make sure the fields are comma delimited in the DOHLCVU format. 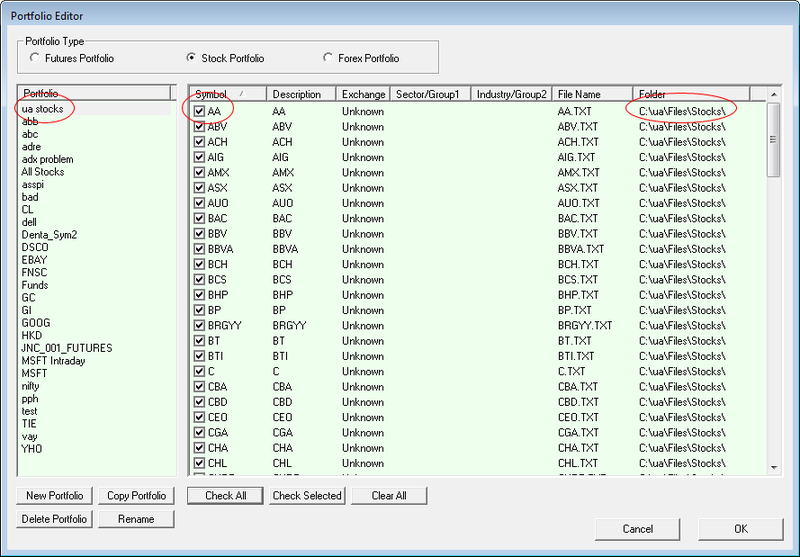 And check the Trading Blox Portfolio Editor to make sure the markets are in the portfolio as expected, and the file name and folder location are correct. 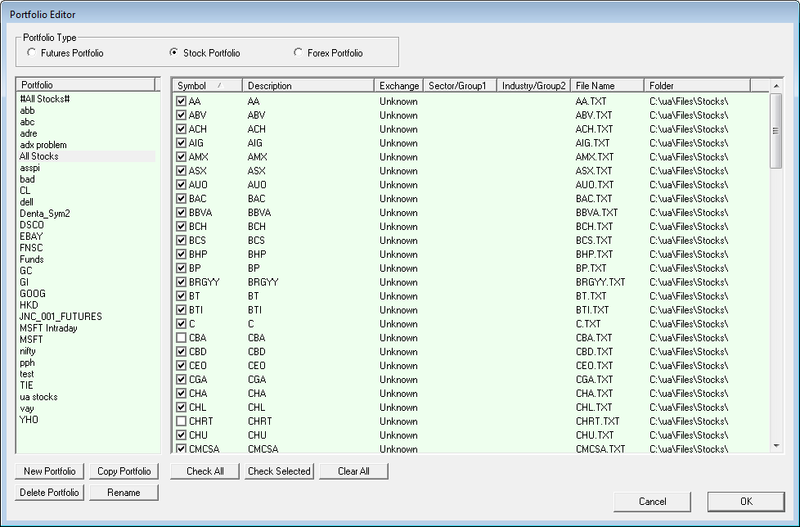 Now you can use this new Trading Blox portfolio called “ua stocks” in your testing. 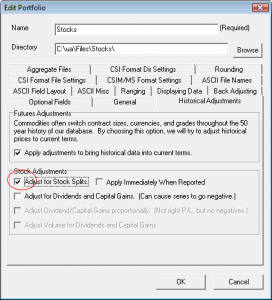 Note that you have no stock dictionary yet, so the stock symbol is also the stock description, and the currency is assumed to be the system wide base currency of Trading Blox as set in preferences. 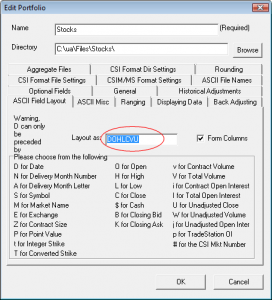 To create the optional Stock Dictionary use the Build Stock Dictionary option in Trading Blox preferences. 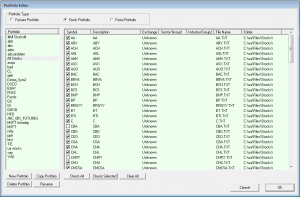 This will create a stock dictionary for the markets you have in your stock data folder. Note that if you add new markets to the stock data folder, they will not be available in Trading Blox until they have also been added to the Stock Dictionary, either manually or by running this process again. 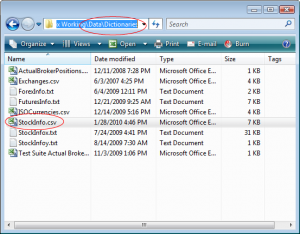 It’s sometimes easier to not create the dictionary, so you can just add new markets to the data folder easily. 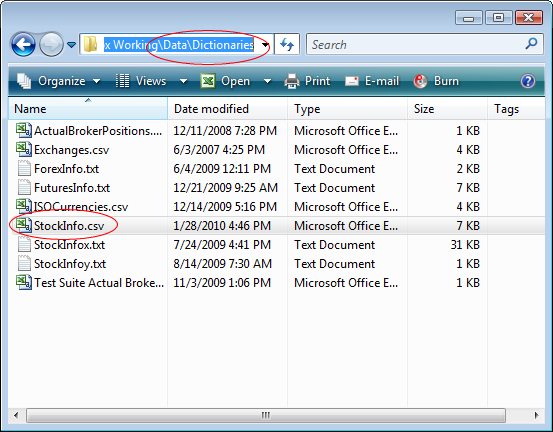 Here is how the Stock Dictionary will look in the Data/Dictionaries folder. 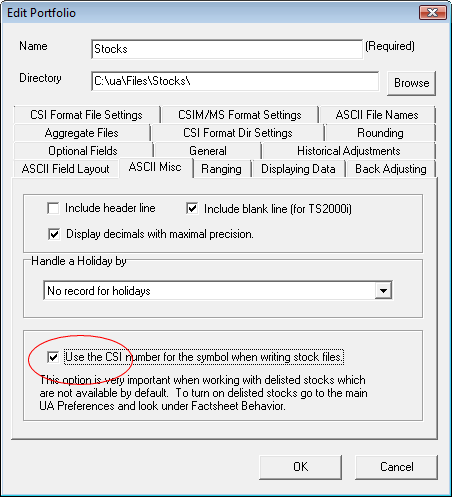 It is called StockInfo.csv. 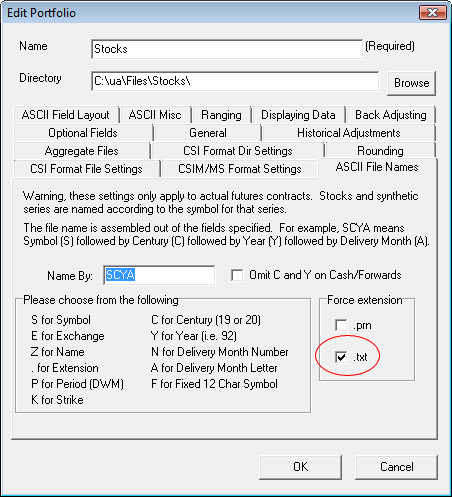 And as an advanced topic, if you work with delisted stocks, or have non unique symbol names from different exchanges, you should export your CSI files using the CSI Number as the file name rather than the symbol. 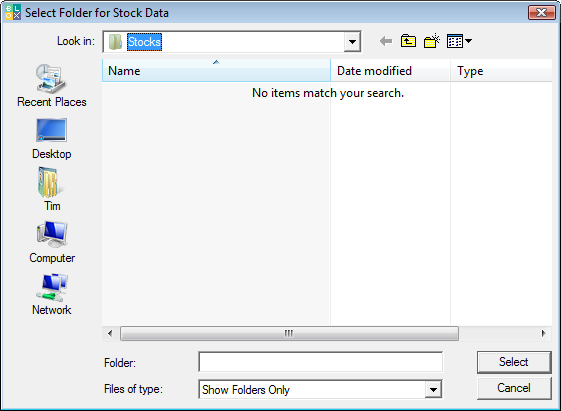 First delete all the files in the UA\Files\Stocks folder, so this rebuild will be a clean fresh list of files. Then check this box, and rebuild all your files. 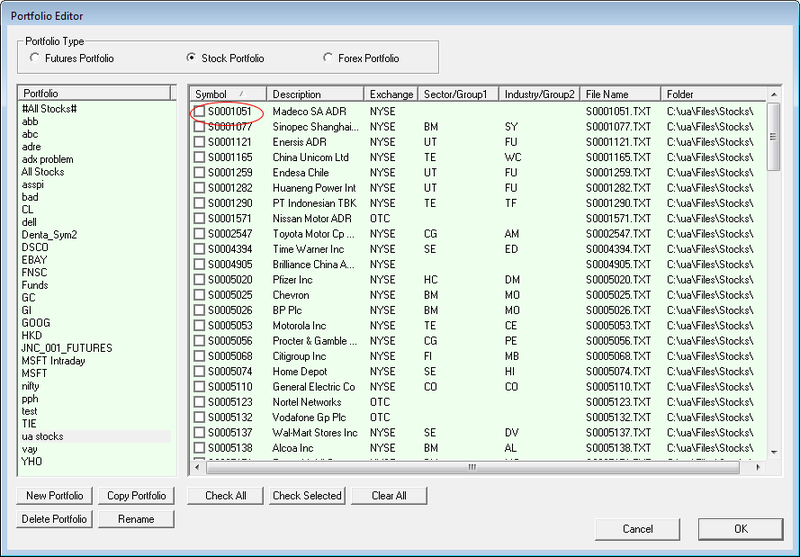 The Trading Blox Portfolio Editor will now look like this, with the csi number as the symbol.